This was a most welcome third visit to the Tilford Bach Society by the Mediterranea Trio. They chose their ensemble name to reflect the fact that two of them are Italian and one Greek, remarking ‘Our rehearsals can be quite lively and sometimes turbulent (we cannot help our Mediterranean temperament). A large audience in the Church of St Thomas on the Bourne enjoyed trios for piano, violin and cello by Mozart, Beethoven and Brahms, demonstrating how far musical style changed in a century, from the elegant classical charm of Mozart through the darker passion of Beethoven to the dramatic contrasts of Brahms. Despite what they describe as the turbulence of their rehearsals the three musicians proved a perfect musical blend, conveying as much sparkle, depth and colour as the Mediterranean itself. The Mediterranea Trio was established at the Royal College of Music in 2008. After its debut at the National Gallery, the Trio went on to perform at venues such as St John’s Smith Square, St Martin-in-the-Fields, Balliol College in Oxford, St James’s Piccadilly, V&A Museum, the Pump Rooms in Bath, and the RCM Britten Theatre. It has also taken part in numerous festivals, including Earl’s Court Festival, Bedford Park Festival, Exhibition Road Music Day and the Chilingirian Quartet’s Schubert, Mozart and Haydn Festivals. 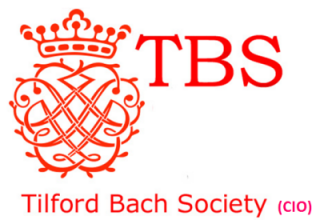 They have played twice before for the Tilford Bach Society. The Mediterranea Trio has been coached by Andrew Ball, the Chilingirian Quartet, Gordon Fergus-Thompson, Yuri Zhislin, David Dolan, Mark Messenger, Geoffrey Govier and Kathron Sturrock, and has participated in masterclasses with Susan Tomes, Krzystof Smietana, Tim Ravenscroft, David Waterman, Eckart Heiligers, Alexander Malosh, Peter Cropper, Moray Welsh and Simon Rowland-Jones.